Welcome to Sierra Giant Scale, we have added some New Products to our ever expanding line of Giant Scale Retracts. Check out our Products Page to see what's new. Show we will be attending. We will be posting our 2013 Show Schedule Soon. We are now offering replacement Retracts for the ESM Model Products P-39, Sea Fury, ME-110 and 80" Hurricane. Call for more Info and Pricing. Great News for our United Kingdom and European Customers. Belair Kits will be the Distributor for our entire line of products. Retracts that we are currently working on. Jerry Bates Grumman Guardian. Jerry has new plans drawn for the Guardian and we would like to do a Scale set of retracts for the plane, but need at least a few orders to help cover the design cost. If you would like to also have a set of these retracts, let us know. 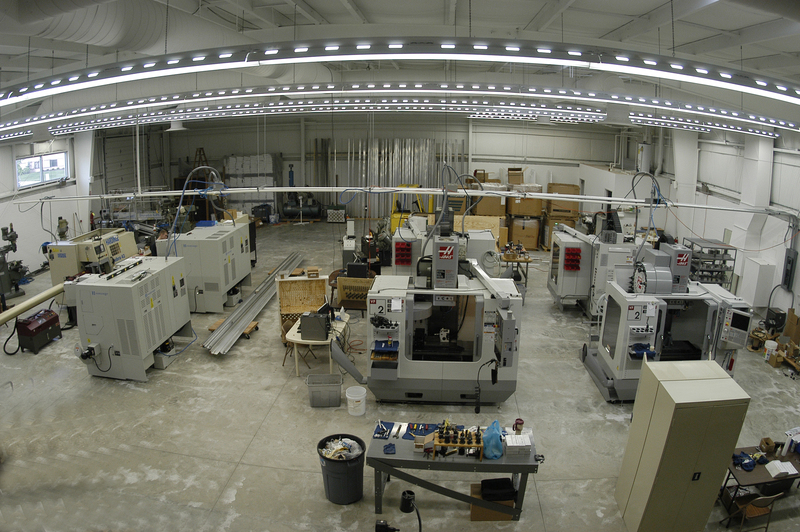 We have purchased or Fourth CNC Vertical Machining Center and Third CNC Lathe to handle the production load. These new machines will help us keep up with the demand for many Scale Items used in our designs.